The Saint in New York (1938) played by Louis Hayward. The Saint Strikes Back (1939) played by George Sanders. The Saint in London (1939) played by George Sanders. The Saint's Double Trouble (1940) played by George Sanders. The Saint Takes Over (1940) played by George Sanders. The Saint in Palm Springs (1941) played by George Sanders. The Saint's Vacation (1941) played by Hugh Sinclair. The Saint Meets the Tiger (1943) played by Hugh Sinclair. The Saint’s Girl Friday (1954) played by Louis Hayward. Le Saint mène la danse (1960) played by Félix Marten. Le Saint prend l’affut (1966) played by Jean Marais. The Saint (TV Series) (1962-69) played by Roger Moore. The Fiction Makers (1968) played by Roger Moore. Vandetta for the Saint (1969) played by Roger Moore. The Return of the Saint(TV Series)(1978-78) played by Ian Ogilvy. 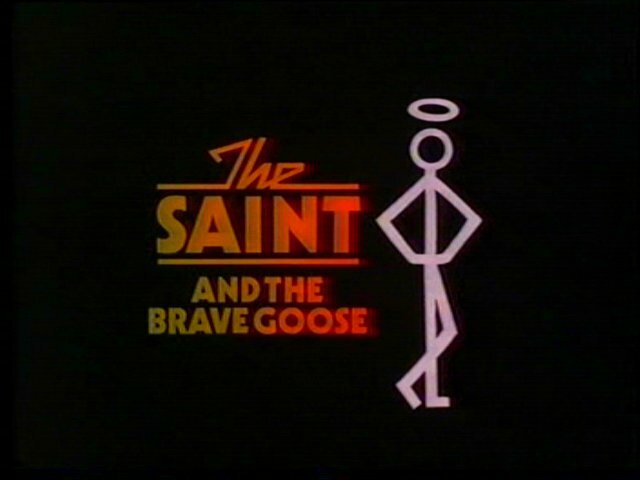 The Saint and the Brave Goose (1979) played by Ian Ogilvy. The Saint in Manhattan (1987) played by Andrew Clarke. The Saint(1997) played by Val Kilmer.